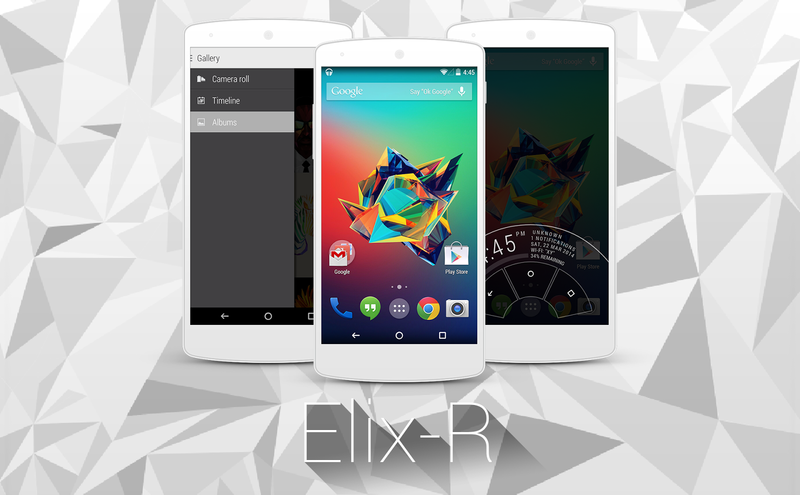 Elix-R ROM for Nexus 5! Fast | Elegant | Simple ~ AndroidRootz.com | Source for Android Rooting, ROMS, Tricks and More! Elix-R ROM for the Nexus 5 is a simple, elegant, and fast ROM that is based off of Android 4.4.2 Paranoid Android beta 1. This means that you get some nice Paranoid Android features like the Notification Peek and the PIE Control with some nice enhancements from the Elix-R side of the ROM. This ROM includes the newly added Notification Peek that acts the same if not better than the Moto X Active Display, PIE Control, improved battery and performance from the included ElementalX custom kernel. Elix-R ROM also includes a couple of nice apps like Viper4Android for sound enhancements, CyanogenMod Documents, and my favorite the Motorola Galley app. This app is a very clean and an easy way to navigate between your photos. 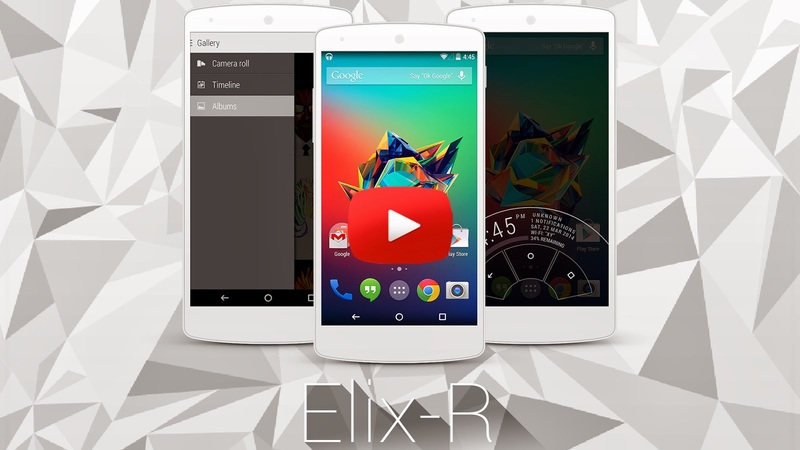 Download Elix-R ROM for the Nexus 5 using the link below!